Since childhood, we grew up in an environment of ‘expectations’ that indirectly set up our own expectations later on in life. All fairy tales have a nice ending; the girl always gets her happily ever after! Prince charming is there each time to save her. He offers her a world of happiness and joyful bliss. 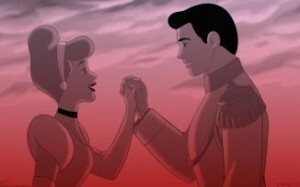 Didn’t we all, at some point, dream of our own Prince Charming? Most of us, if not all of us, got our fair share of hurt and emotional disappointment, and still secretly hoped to find the one. The one who promises love and hope for some, or healing past wounds with a new beginning for others – that one. All women look for the one – even those who shamelessly argue the opposite. Some of us found him. He comes with good and bad points, joys and woes but we still love him, we did choose him after all. And here comes Valentine’s Day and all these years of waiting and hoping and expecting come to a head. It’s time to deliver, Mr. One. But what if I was to tell you that Valentine’s Day, in fact, could mean the end of your relationship? For the past few years, we have been experiencing the great commercialization of Valentine’s Day, where florists and chocolate makers alongside card shops are making a fortune out of it. It is a day filled with romantic fantasy and great expectations. I remember, when I was younger, Valentine’s Day was all about secret admirers, mystical little romantic notes, love towards friends, boyfriends and relatives and the occasional red rose. That day’s anticipation was pure magic. All that has, now, been replaced with intense pressure on both parties, unreasonable expectations, and dreadful disappointments. To be honest, I really feel for all the men who are faced with such cruel circumstances. If you are a man reading this post right now and you haven’t planned or purchased anything yet, I urge you to do so as soon as possible or you are most likely not to have such a great night on Valentine’s. The quality of our partner’s feelings should NEVER be measured by anything materialistic. It might sound as a cliche but a gift is only a gesture of love. Its size does not come into this equation. You are probably wondering why is friendship with our partner so important on Valentine’s day or any other day for that matter. “Long-term love is sustained not by romance alone but by the daily activities of following through on promises, showing up both emotionally and physically when needed, owning up to responsibility for your part in any conflict, and by being the kind of person who is worthy of being loved. Our relationship needs constant attention and nurturing. By understanding what are the weak and strong points of our relationship/marriage, we learn how to deal with conflict in a healthy manner without alienating our partner. Dr. Bill Cloke, in his book: ‘Love-Making from The Inside Out: Transform Complaints, Criticism, and Conflict into a Loving Relationship’, argues that the most common form of alienation happens when we become defensive while our partner is telling us how they feel. He emphasizes that we should really be aware of the following statements, used during arguments, that are real romantic killers and they could damage our relationship beyond repair. Entitlement: “You are the one who made me angry; You deserve it. Dr Cloke supports that “One of the most common reasons for divorce is the inability to accept influence from our mate. Acknowledging our partner is the most potent force for Valentine’s success. To not defend ourselves, but instead hear what is being said, and then be able to express our understanding through acknowledgment will beat a box of chocolates any day”. Men who exhibit what is termed “feminine” traits are more often successful in their marriages. It appears that positive behaviors like nurturing, tenderness, and sweetness actually do work. Valentine’s day is not the big day in which your relationship will be miraculously saved from certain ‘death’. If by getting your partner a gift you honestly believe that it is going to help sustain your relationship over time, then you are in the ‘realistic expectation spectrum’. If, though, the answer is no, then I am afraid that no amount of gifts can manage to bring your relationship back to the light. What should all of us, women, really aim for from our loved ones , this Valentine’s Day, is love and respect. We should aim for mutual kindness and understanding. We should learn to treat each other with empathy and be compassionate. True romance stems from much deeper than the occasional box of chocolates which will not be able to close our relationship’s emotional gap. Having, in our lives, someone we can depend on, who embraces our problems and our choices and who has a positive attitude in life, beats hearts and flowers every single time. Make sure you have realistic expectations this Valentine’s and you don’t consume yourselves with how many ‘things’ you will get but with how you treat one another – that is the basis for a successful VDAY and every day after that. Feeling like we must make our mate happy is a tremendous weight to carry and many a Valentine is based on that premise. Valentine’s Day is a celebration, not a responsibility. If we can carry that in our hearts and make each day a special Valentine by being loving, kind and concerned about one another, then we are actively creating true love. …Need some great life tips?